If you recognize any of these signs or concerns in your child or yourself, it might be time to schedule a consultation with an orthodontist. ▪ Early treatment may prevent more serious problems in the future. ▪ Early treatment may make treatment at a later age less complicated. ▪ Some treatments may not be possible once the face and jaws finish growing. Monitoring growth and development earlier allows the orthodontist to guide jaw growth, correct harmful oral habits, and guide permanent teeth into a more favorable position. A study of mothers, conducted on behalf of the American Association of Orthodontists (AAO) finds 86 percent of mothers reporting that braces are cooler today than when they were children. Sixty-nine percent also said wearing braces makes their children feel cool, and 81 percent reported their children's experience with orthodontic treatment as either positive or extremely positive. Orthodontic treatment is easier than ever and more enjoyable for today's patients. 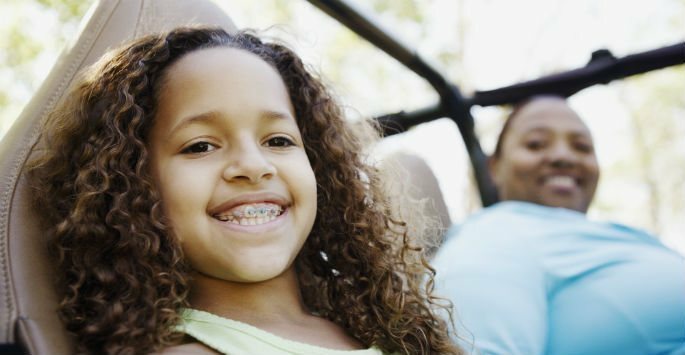 A majority of mothers reported that while wearing braces used to be a less comfortable and a lengthier process, new technologies and orthodontic options are making their children's experience more enjoyable. Most also described the experience of visiting the orthodontist office as fun. And computer software that can predict the post-treatment appearance may help keep patients motivated. Advacen Dental orthodontists offering different types of braces - metal traditional braces, clear invisible braces or invisalign to make your smile or smile of your child beautiful.